Are There Defenses To Assault And Murder Charges? 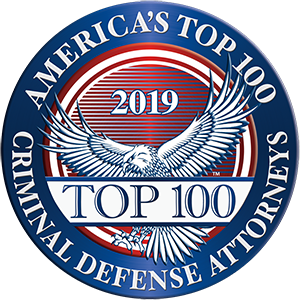 Assault and murder charges can be leveled at a defendant in many situations beyond that of an angry one-on-one confrontation. You can find yourself facing a murder charge after a DUI arrest, after a "road rage" situation that turns physically destructive, or after a night at the tavern leads to a bar fight. At Yeretsian Law, our founder, Lara Yeretsian, has many years of experience as a seasoned criminal defense attorney. She maintains a robust practice related to assault and murder charges and can find options to bolster your defense. We provide personalized attention and guidance for each client we represent. Regardless of how you came to be faced with an assault or murder charge, the prosecution must prove beyond a reasonable doubt that you are guilty. At our firm, our lead attorney works with you to understand the evidence against you. She can construct a vigorous defense of your due process rights, and build a foundation that can lead to an acquittal, or a beneficial plea agreement for you. Lara is skilled in developing a defense that represents your side of the story and which can lead to the optimal resolution of the case for you. As your lawyer, her loyalty is to you and your defense. Your life and freedom are at stake with an assault or murder charge. Do not wait, call 818-741-1220 to discuss your case in a free initial consultation, or email us to set up an appointment. We serve Glendale, Burbank, Pasadena and the greater Los Angeles area. Our practice speaks Spanish, Arabic and Armenian.